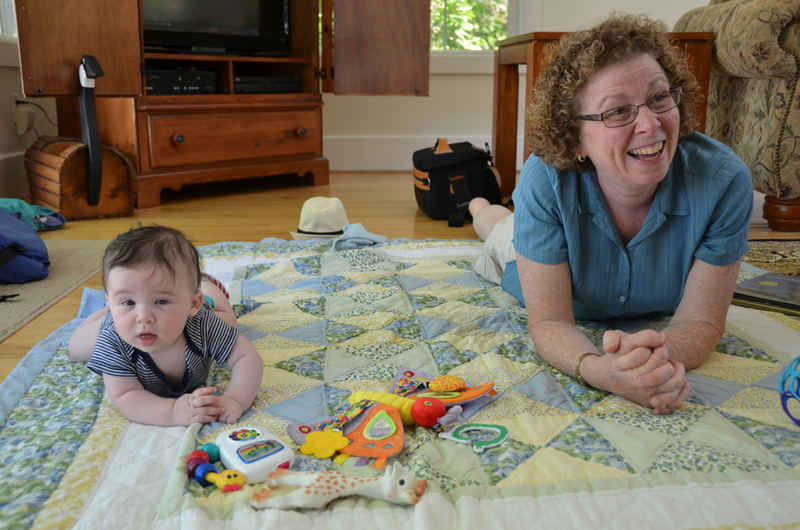 We know we haven’t made it easy for our parents to be first-time grandparents. These were supposed to be the glory days: they put in years of hard work to raise us, thinking all along that some day they would enjoy all the joys of frolicking, adorable children with none of the responsibility. It was a flawless plan… until those headstrong kids of theirs grew up and moved half a world away. It’s not that the grass is always greener; yet, much as we love our Foreign Service lifestyle, there are certain things we miss about not being in the States. Topping the list is being far away from friends and family. In addition to rarely seeing the people we most love, we also miss many of their special occasions. Each year we spend abroad, our refrigerator fills up with birth announcements and invitations for missed weddings. 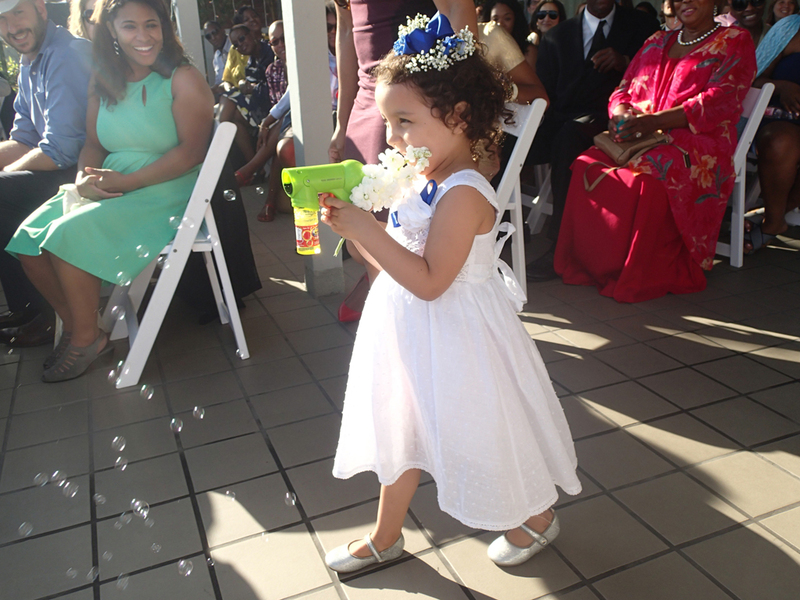 This summer, one of S’s closest friends was getting married, and though it meant flying halfway around the world, much of it alone with Munchkin, S decided this was one wedding she shouldn’t miss. Sometime, hopefully in the not too distant future, S plans to write about her 3-week-long trip back to the United States. Dealing with a jet-lagged baby and trying to get over jet lag herself has stymied somewhat her motivation to write. 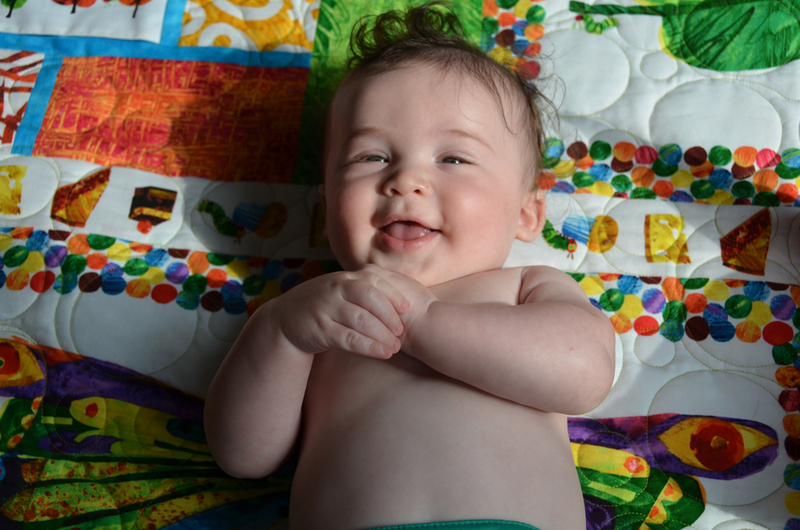 In the meantime, we celebrated Munchkin’s fifth month today and thought we’d mark the occasion by sharing some pictures. We get the sense that many of our most loyal followers are pretty much only interested in Munchkin updates anyway. 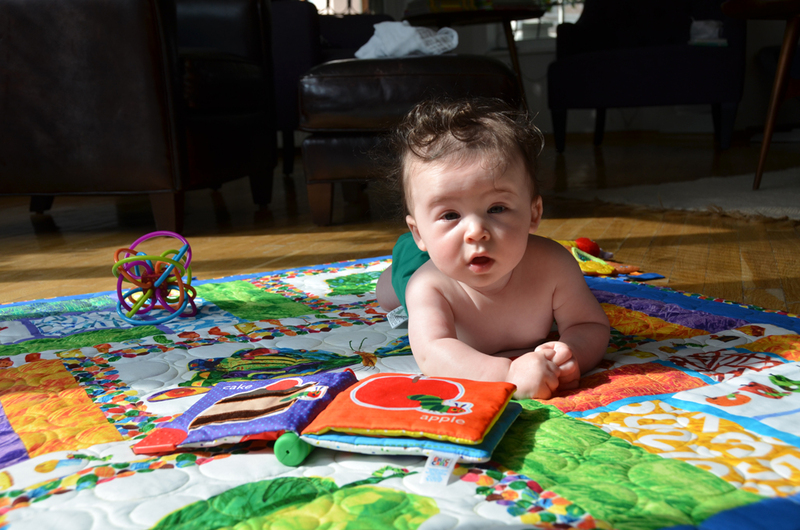 Long before he began to vocalize — in fact, long before he was born — we decided to consign Munchkin to linguistic confusion in his early years. For those serving abroad, the passing of our nation’s Independence Day usually comes with a mixture of jubilation and relief. On the one hand, nothing says summer like a 4th of July BBQ. On the other hand, as the holiday approaches embassies become frantic with preparation for hosting what is easily the biggest representational event of the year. Long before S was pregnant, she envisioned herself as a breastfeeding mom. She imagined cherishing the snuggly, cozy time with Munchkin and being able to soothe him when he was upset. She even foresaw herself becoming enthusiastic about breastfeeding and doing it longer than most. The idea that it might not be possible – or possible for a full year exclusively – never entered her mind.